Each class is limited to 5 people per instructor. Both days start at 3:30 p.m. The course is available from April to October. 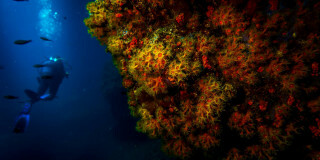 Capo Galera Diving & Charter S.r.l. 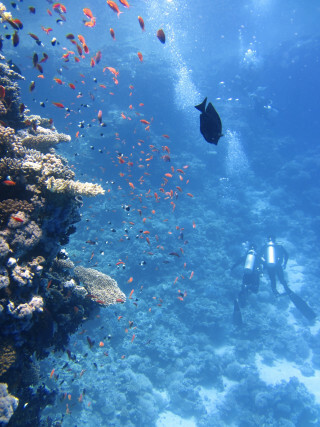 Europe may be cold in the winter, but you can still count on a scuba diving trip even in the Mediterranean. 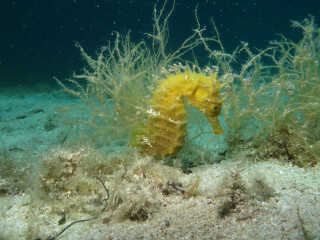 Sardinia’s mild climate and surrounding water temperatures welcome divers from January to December. 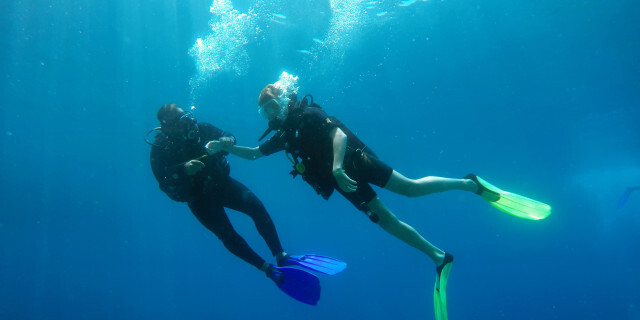 Take advantage of one of Europe’s best diving spots, and get your PADI Open Water Certification. The Open Water Diver Course teaches the necessary knowledge of skills, equipment, and theory for diving to a depth of about 18 m (60 ft). You take your course in a secluded villa near Alghero. This dive center run by scuba experts sits on a peninsula surrounded by seas. 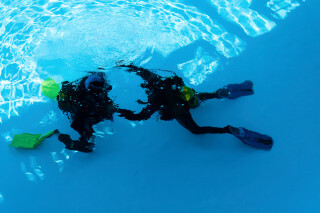 With only one pool dive on the first day, you test out your practical skills in the Mediterranean Sea on all four days. With your student kit, you may study the theoretical sections of the course at the center or on your own time. Your instructor is there the entire time to ensure you understand all the necessary skills. On the fourth day, you make your lessons a reality. 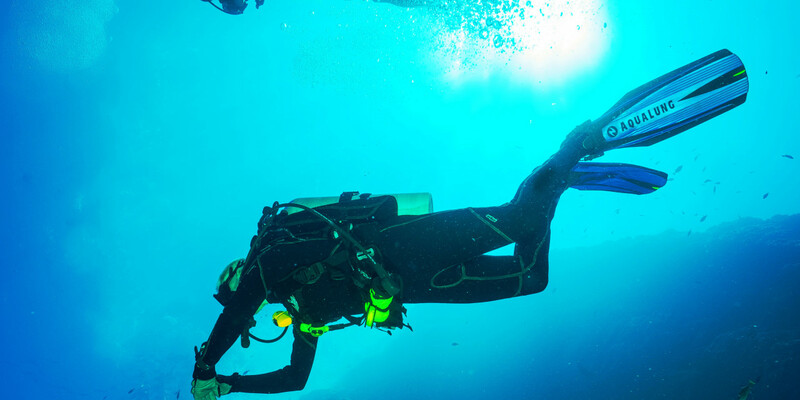 Enjoy two boat dives around Sardinia’s coast and discover the Mediterranean maze of caves and tunnels. Admire the rock formations and the bright coral growing around them. You may take your test on the last day before or after the dives. 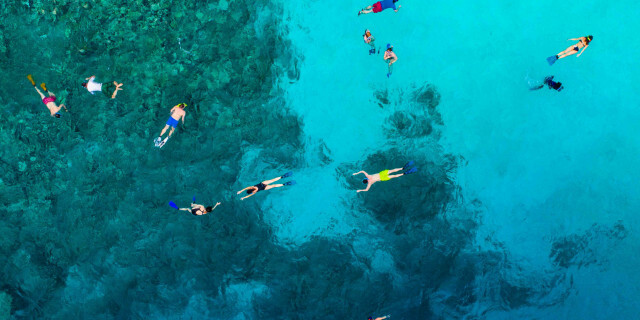 As the world’s most popular and widely recognized scuba course, the PADI Open Water course opens up a whole new world of nature exploration. 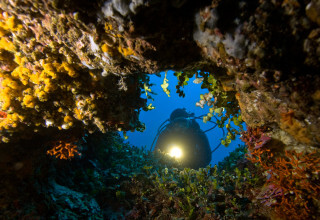 Dive into Sardinia’s fascination underwater environment and make new scuba stories.